China on Monday played down India's reported plans to boycott the upcoming 2nd Belt and Road Forum (BRF), saying India may have misunderstood the Belt and Road Initiative (BRI) and suggested New Delhi to 'wait and see' before taking a decision. China is expected to hold the 2nd BRF meeting from April 25 to 27 in Beijing. Chinese Foreign Ministry spokesman Lu Kang told a media briefing in Beijing that the BRI is an economic cooperation project and it does not involve territorial disputes. India has already protested to China over the China Pakistan Economic Corridor violating its sovereignty and boycotted the first BRF held in 2017. Asked whether China is suggesting that India would miss out a lot by not participating in the event, Lu said, "The BRI has been an open and inclusive initiative for all countries and organisations interested in this." Indian Ambassador to China Vikram Misri has signalled India's boycott of 2nd BRF as well by saying that 'to be honest, we have made no secret of our views and our position on BRI is clear and consistent and one that we have conveyed to the authorities concerned'. 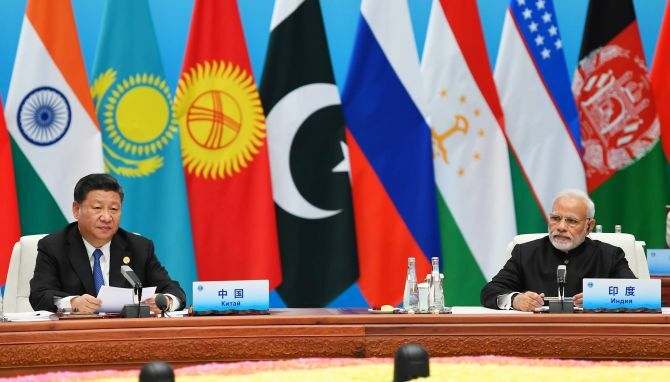 "Above all, connectivity initiatives must be pursued in a manner that respects sovereignty, equality and territorial integrity of nations. "No country can participate in an initiative that ignores its core concerns on sovereignty and territorial integrity," he told the state-run daily Global Times last month.